Posted on June 3, 2016 by revivewa	in Faith in Action, Ration Challenge 2016 and tagged 2. I recently travelled to an urban refugee camp in Jordan to meet with Syrian men, women and children who have been forced to flee their home to escape war and violence. Their heartbreaking responses caused me to reflect on just how much the war in Syria has impacted ordinary mothers, fathers, sons and daughters. After five long years, the conflict has come at an unconscionable human cost. People fleeing violence have lost not only their homes, livelihoods, family, friends, but also their dignity, safety and basic human rights. I went to Jordan on assignment with Act for Peace, the international aid agency of the National Council of Churches in Australia, to see how urgently needed food ration packs were being distributed to Syrian refugees. Many of the packs were funded thanks to the generous support of Uniting Church members in Western Australia, and it was incredible to see firsthand the difference this support was making. During my visit I learnt a lot about people’s suffering, but also about their resilience. I saw the emotional pain people were experiencing, the terrible conditions they were living in and their desperate need for food, medical treatment and other kinds of support. Despite this, these people, who have lived through such grief and trauma, welcomed me in to their homes and shared their stories with me; a family described how they’d fled from their house in the night as bombs flew towards them, a woman told me how she’d lost her sister and unborn child and two young boys described how they had lost their dad. After all that they have gone through, many of the amazing men and women I talked to are still determined to help others in need. Such as Fatima, a proud and strong woman who volunteers to help distribute food aid to fellow refugees in Jordan “with love and a smile”. 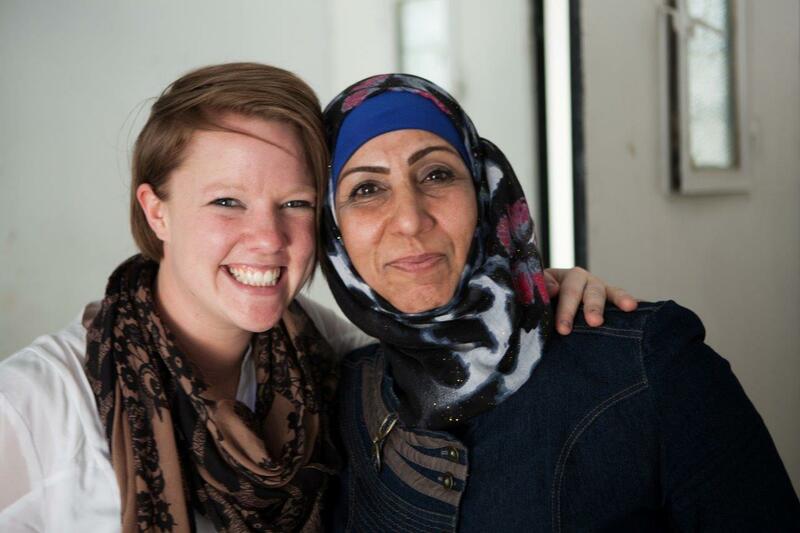 Though she says will never forget the humiliation and powerlessness she felt when she first became a refugee, the war hasn’t taken away her smile. We’re used to seeing news headlines full of statistics about the Syrian conflict, and the numbers are so huge they’re hard to get your head around. But I hope that by sharing the story of ordinary people living day to day in Jordan, I can communicate the suffering caused by the crisis at a human level. At a level we can all actually understand. To help raise money and awareness for refugees, Act for Peace is calling on compassionate people around Australia to take part in the Ration Challenge. 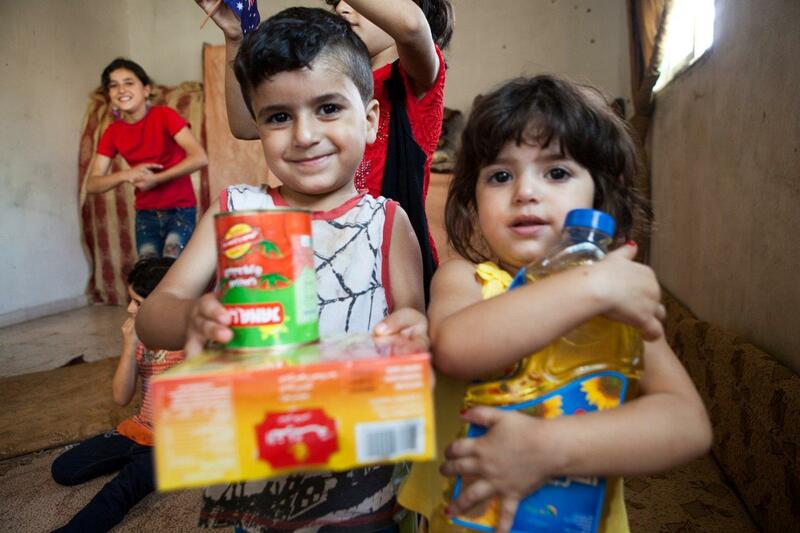 The Ration Challenge, which takes place during Refugee Week, June 19-25, challenges compassionate Christians to live on the exact same rations that a Syrian refugee living in a refugee camp in Jordan receives for one week and get sponsored to do so. Thousands of caring people have already signed up. The money they raise will help provide refugees with food, medicine and psychosocial support. But more importantly, by taking a stand, they will be showing refugees that they are not alone and that there are people in the world that still care about them.